Technology has dramatically changed the way we live. So much so that it’s often hard to imagine how society looked like just 30 years ago. What we consider simple and effortless everyday routines today were extremely tedious tasks a couple of decades ago. It’s therefore not surprising that the criminal justice world has been greatly impacted by tech advancement. 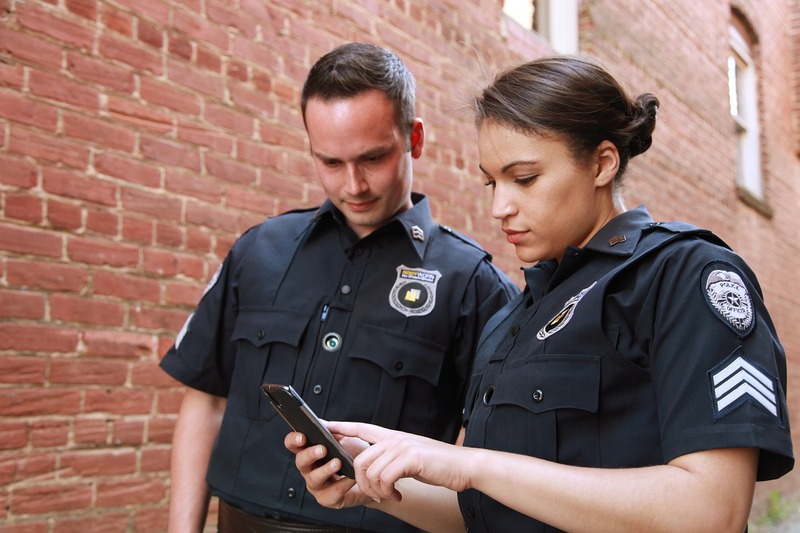 In fact, law enforcement has traditionally been one of the first adopters of new technology. Of course, part of this drive toward more tech is necessitated by the fact that criminals are growing ever more tech savvy. Whatever the reason though, criminal justice is becoming more effective. The following is a look at how technology is making that happen. Thanks to first the Internet and now the Internet of Things, the amount of data generated per day continues to grow exponentially. In this vast volume of data lies information that may be useful in resolving a crime, identifying crime hotspots and mapping trends. Machine learning tools and predictive analytics are necessary to rapidly capture, read, analyze and interpret this vast trove of information. Practical applications of big data technology include license plate recognition, log server monitoring, gunshot triangulation (to determine where and when a firearm was fired), and crime forecasts. Police in several jurisdictions has for a long time used drone technology as a cheaper and safer alternative to helicopters. The unmanned camera-equipped aerial vehicles are used for everything from counter-terrorism and suspect tracking, to missing person investigation and fighting wildlife crime. Drones are faster to deploy over short distances (there’s a much more rigorous procedure before a helicopter can get off the ground), can be more safely flown at low altitudes, and can deliver close-up photo and video captures. You’ve likely seen it in movies. A law enforcement unit in pursuit of a crime suspect uploads a face photo on a central database. After what seems like a couple of seconds of scanning, there’s a match. Things aren’t that simple in the real world though especially when you consider privacy laws that limit what facial photos law enforcement can keep in their databases. Nevertheless, facial recognition and eye detection technology are used by police units for identifying suspects, to interpret non-verbal expression and to even determine if immigrants entering the country have the requisite clearance. The continued uproar over the controversial death of crime suspects has driven many law enforcement units to require officers to wear body cameras. The cameras are the front end of an elaborate digital evidence management system that seeks to provide greater transparency in how police officers engage with the communities they work in. If the underlying server infrastructure is cloud-based, body cameras can relay information back to base in real-time. The feed can be analyzed in combination with video from police and citizen dash cams, surveillance footage and citizen-generated video. Some policing experts expect the body camera to be just as ubiquitous in law enforcement as the badge, gun or uniform. There are many ways through which artificial intelligence is finding application in crime prevention but robots are perhaps the most prominent. Robots have especially come in handy in the detection and deactivation of bombs. In such situations, sending in police officers may be putting them in grave danger that could lead to serious bodily injury and in the worst case, death. Police robots are growing in sophistication and can now even distinguish between a false alarm, a hoax and a real bomb, just by examining the device. Bomb deactivation is still in its early days and heavily relies on a camera that a remote officer uses to diffuse the bomb. However, it’s anticipated that with machine learning, robots will have greater autonomy in deactivating explosive objects. Technology can be incredibly empowering for police officers. However, it’s always important to remember it’s just a tool. The positive power of tech ultimately comes down to the ability of law enforcement to leverage it for its benefit.